Returns are available at the discretion of the manufacturer. 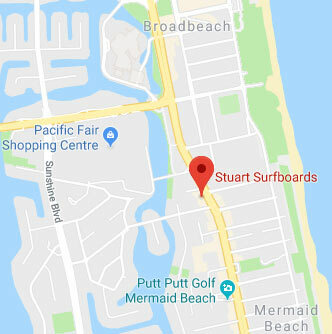 If you believe you have grounds to return your surfboard or another product please ensure you contact us within 48 hours of receiving your delivery via email – stuartsurf@hotmail.com . If the item is damaged, please provide clear images within your email as well for reference. We will respond to your enquiry within 72 hours. If you have been approved to organise a return due to a damaged item, Stuart Surf Design will cover the return postage cost and send out the replacement item. A refund will only be provided if the manufacturer deems that there are no other options.